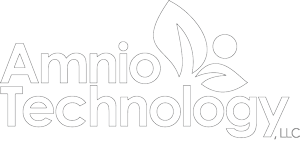 Amnio Technology, LLC is a global leader in the development and distribution of amniotic tissue allografts. Amniotic tissue contains extracellular matrix proteins, growth factors, cytokines, carbohydrates, hyaluronic acid, and other elements naturally present in amniotic fluid and tissue essential for fetal growth and development. Amnio Technology is committed to advancing the science and use of these unique allografts to improve quality of life for patients in need. Just as the amniotic membrane and fluid provide biologic and physiologic properties and act as a physical barrier during pregnancy, Amnio Technology allografts provide physical, biological, and physiological properties to cover and protect wounds.